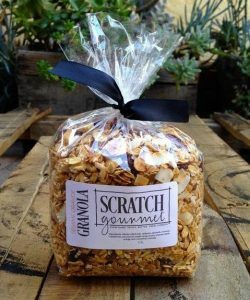 Scratch Gourmet provides dinner delivery in Coronado, catering, personal chef services, cheese & charcuterie boards, jalapeno jams, heart-healthy granolas and food gifts. 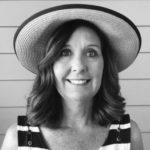 Kathy remembers going to the Navy Officer’s Club as a child and being fascinated with the tableside Caesar salad and Café Diablo Flaming Coffee. Sunday mornings were special to her when her dad would make homemade buttermilk biscuits, apple fritters dusted with powdered sugar, peanut butter waffles and sourdough cinnamon rolls. She always got up early to fry the bacon to ensure that she would get a piece or two before her three brothers and sister snagged it all. 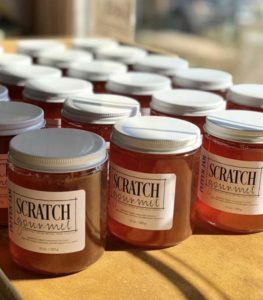 “I feel like my mom cooked more as a duty to feed our whole brood, but my dad was more experimental having grown up in the South and because of his military travels, roasting his own peanuts and pumpkin seeds, and making homemade beef jerky,” she says. “I think that military men have eclectic tastes due to all their travelling. I was the beneficiary of that with my dad and was never afraid to try new things,” she laughs. Her family moved to Coronado in 1976 from Lemoore when her pilot Dad was stationed here. She points out that it was a rite of passage to work at a restaurant growing up in Coronado during that era. She and some of her siblings worked at the Chart House and Mom’s Ice Cream through the years. At the Chart House, she moved from hostessing to the kitchen where she learned to make the famous mud pie and cheesecakes. She left in 1985 when she got married and they moved to Europe to begin their modelling careers. They helped open Tres Kilos, a Mexican restaurant, in Zurich. She learned by watching and experimenting. She remembers teaching the Yugoslavian cook how to make guacamole. She also traveled through Italy, Germany and Switzerland, sampling ethnic foods along the way, and spent time in Asia as well. 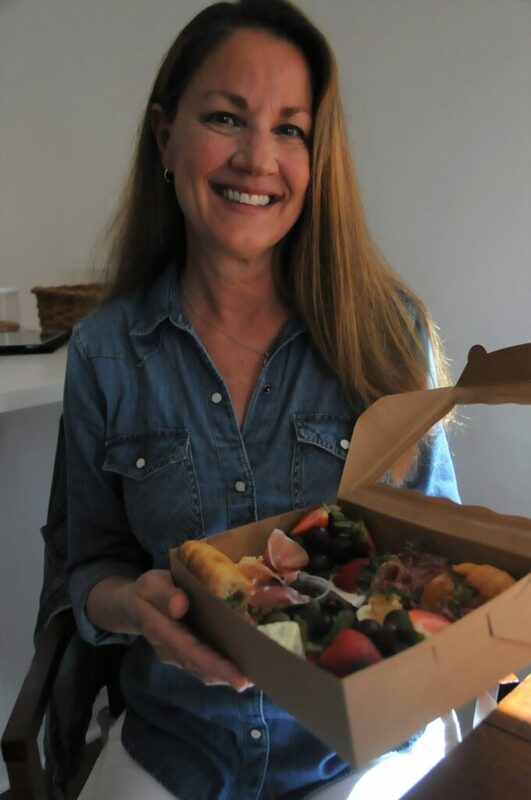 Upon Kathy’s return to Coronado, she worked at Peohe’s, Chez Loma, Quattro Venti Pasta, La Strada and Café Japengo, and decided she wanted to be a personal chef. She was able to pursue being a personal chef while she worked for a family, travelling with them to Mexico, Arizona and Hollywood. Next was eight months cooking on a private yacht cruising though Panama and Costa Rica. 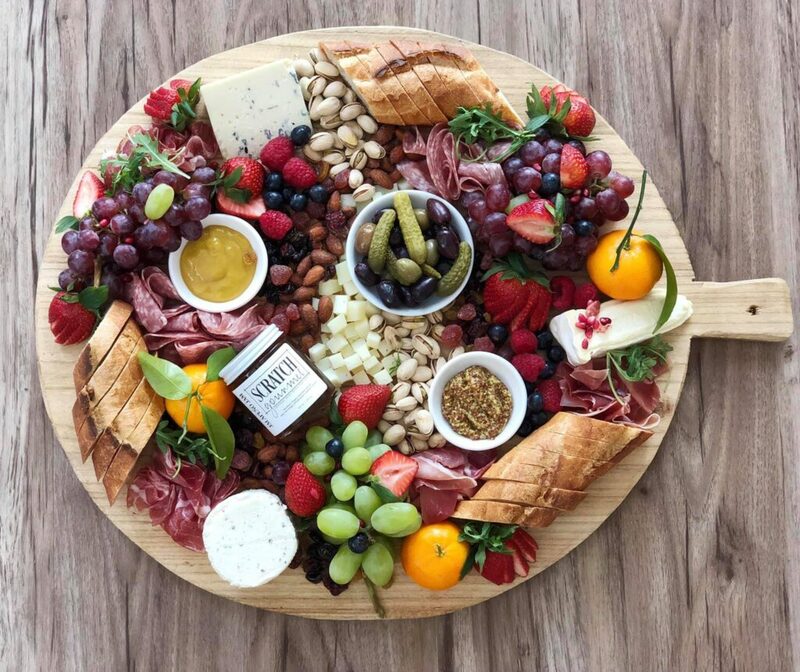 When Kathy started bringing charcuterie boards to share with family and friends at the summer Concerts in the Park, people began asking where they to get them. So Scratch Gourmet expanded to include vibrant cured meat and assorted cheese boards, which include her unique flavors of jalapeno jam, along with honeycomb, mustard, olives, pickles, handcrafted spicy bourbon maple nuts, bread, crackers, and fresh and dried fruits, with a flower and herb garnish; perfect for picnics and parties. Her personal “go to” foods are tomatoes, mashed potatoes, olive oil and all fruits, but don’t get her started on her disdain for peas and lima beans. “I love the creativity of cooking, just like an artist is creative when painting a picture. It allows me to have a personal connection with people. I put love into everything I make, and I welcome feedback to see if my clients enjoyed the food,” she comments. 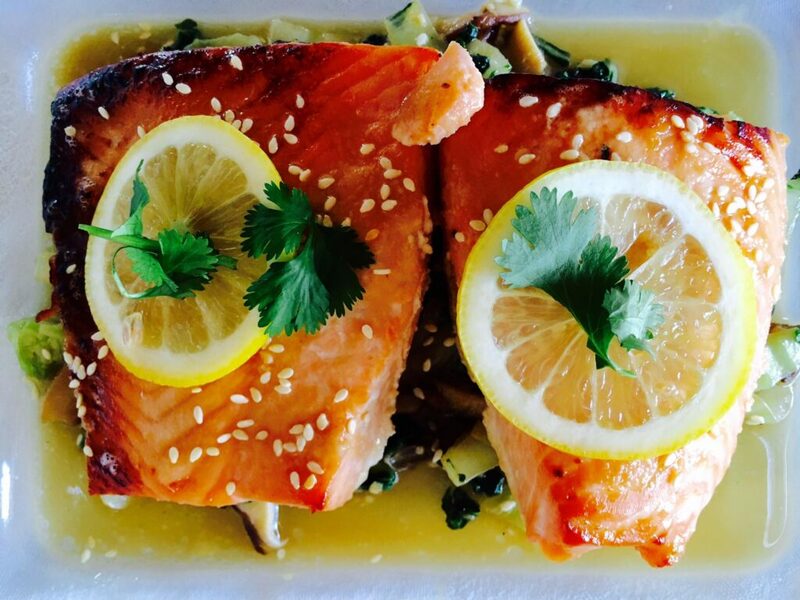 Miso glazed salmon with shiitake mushrooms and baby bok choy is one of Scratch Gourmet’s menu items. 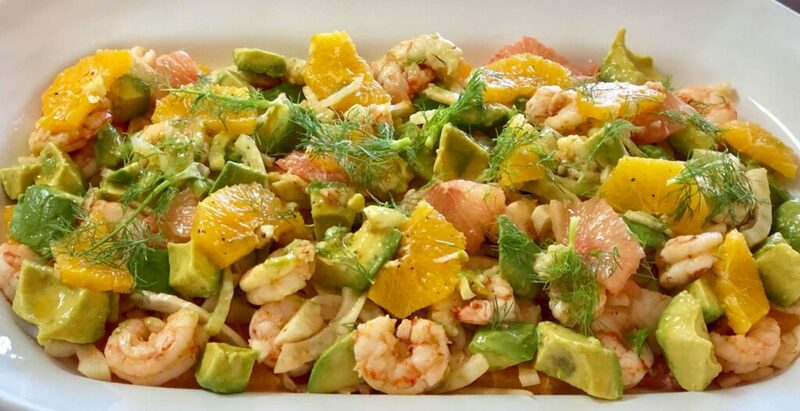 One of the offerings of Scratch Gourmet is Shrimp, fennel, citrus and avocado salad with blood orange vinaigrette. Kathy definitely brings her international palette to her newest culinary adventure. To learn more about her offerings, check out her Facebook page Scratch or her website www.scratch-gourmet.com. She can be reached at kathryn@scratch-gourmet.com or (619) 987-4912.